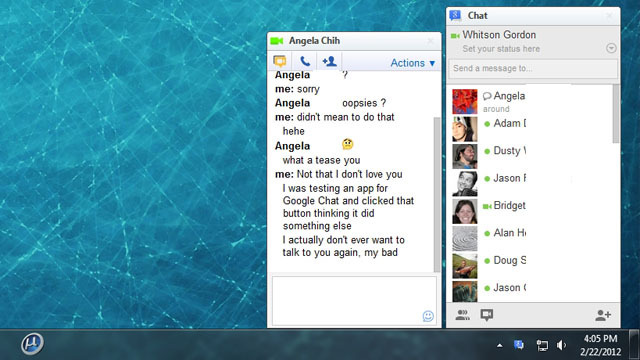 Install it and Google Chat is now accessible from the menu bar. Totally worth it. 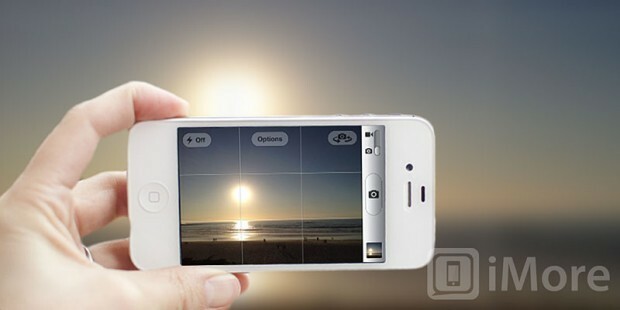 This is a great tip to improve photos on your iPhone. I have been trying to get better composition of photos with the iphone (even for everyday shots) and I tended to get an approximation of what they’re talking about here. But this really crystalizes the concept to the iPhone form factor. Saves alot of practice shots! This printer is flat out awesome. Bought it as an upgrade. Google Cloudprint compatible. Airprint compatible (a top reason for getting it in my home office). Super fast. Huge paper capacity. Duplex printing out-of-the-box. I connected it to the Ethernet port of an Airport Express and Voila! It appeared as a service to all my Macs. This printer rocks. Highly recommend if you need a good B/W laser for the home office (and I’ve had a couple for the last decade). Make sure both computers are turned on and awake. Connect a male-to-male Mini DisplayPort cable to the Mini DisplayPort on each computer. The 27-inch iMac will enter Target Display mode and display content from the source computer. Note: If you are connecting two 27-inch iMacs, connect a Mini DisplayPort cable to each computer and press Command F2 on the 27-inch iMac keyboard that you will use as an external display. To leave Target Display mode, press Command F2 on the keyboard of the 27-inch iMac that is in Target Display mode. To return to Target Display mode, press Command F2 again. Applications running on the 27-inch iMac computer remain open and running while it is in Target Display mode. Use the keyboard of the 27-inch iMac to adjust display brightness and sound volume and to control media playback of applications running on the 27-inch iMac in Target Display mode. Other keyboard and mouse input is disabled on the 27-inch iMac while it is in Target Display mode. The 27-inch iMac works like any other external display while it is in Target Display mode, except that you cannot access its built-in iSight or USB and FireWire ports. To change display settings, open System Preferences on the external source computer and choose Display from the View menu. Mac OS X on the 27-inch iMac ignores some sleep requests while it is in Target Display mode, but forced sleep, restart, and shutdown commands will still work. If the external source goes into idle display sleep, the 27-inch iMac in Target Display mode will go dark until activity resumes on the external source. If you shut down, sleep, or detach the external source while In Target Display mode, the 27-inch iMac will leave Target Display mode. The Mini DisplayPort in the 27-inch iMac can receive only DisplayPort compliant video and audio signals. Converters not made by Apple may provide options to convert other electrical, video, and audio protocols to Mini DisplayPort compliant signals. Some older Apple keyboards and keyboards not made by Apple may not allow the Command F2 key combination to toggle display modes. You should use an aluminum wired or wireless Apple keyboard to toggle Target Display mode on and off. Especially useful if you have to review documents and papers in your home office.